Our Landlord Representation team can help you unlock your property’s potential by developing a deep understanding of your unique space, delivering expertise on the market and the marketing techniques that will showcase your property’s best qualities. We position your property in a way that attracts and secures the right tenants — all while helping you avoid the common pitfalls of the leasing process. Cultivating and highlighting your property’s unique amenities requires a nuanced understanding of the property, the local environment and the market at large. It is important to showcase the benefits of adjacent tenants and services, as leasing space to complementary businesses can foster a sense of community that can make a property more desirable. While some selling points are obvious, our Landlord Representation team can identify differentiators that may be overlooked. How does my long-term investment strategy affect the lease objectives for my property? Depending on whether you’re planning to own a building for the long term, or are interested in selling the property within the next few years, drastically impacts the type and length of leases you offer your tenants. As long term investment strategies guide scheduling for capital improvements, we can help you develop a management strategy that will meet your future objectives without sacrificing present profits. 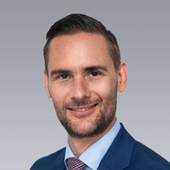 Filip joined Colliers in June 2012 as a Senior Consultant in the Investment and Corporate Advisory Services department with a focus on valuations for retail, office, residential, hotel and industrial properties. Soon he gained expertise in commercial real estate and took over business development of investment advisory and CRE consultancy lines for three markets – Croatia, Slovenia and BiH. Due to the pace of his advancement, responsibilities, deliveries, dedication and comprehensive knowledge of commercial real estate market, in January 2016 Filip was promoted to Partner and Director within Colliers International Croatia. Besides holding a management board position, and being responsible for strategic positioning and continuous growth of the business, Filip’s role within a team is to educate and mentor people to ensure high quality, timely and profound advisory services. Prior to joining Colliers, Filip was working in financial industry - banking and insurance. 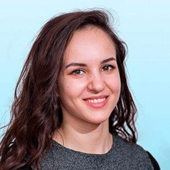 Olgica joined Colliers in October 2017 as a Marketing Assistant and after only 7 months she become Marketing and Communication specialist. 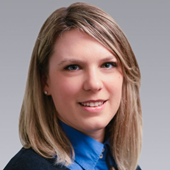 She is responsible for all marketing and PR activities related to Colliers International in Zagreb, covering markets in Croatia, Slovenia and Bosnia and Herzegovina. She is also involved in all Colliers projects that require the development of marketing plans and activities within the comprehensive services provided by Colliers to its clients. 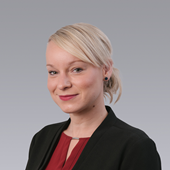 Prior to joining Colliers International, Olgica worked for PwC as consultant in Department for public sector.